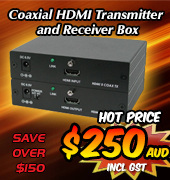 The HDMI to USB Capture Box is a High Definition capture box that takes your HD content and by using PC software, displays and records the 'captured' video signal. 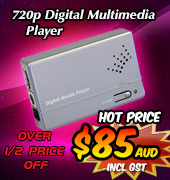 Ideal for older laptop and desktop computers that do not have a HD HDMI input port. The HDMI to USB Capture Box supports H.264/ MPEG 4 AVC (Advanced Video Coding) and resolutions from 720x480 to 1280x720 and 1920x1080. 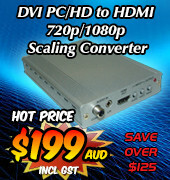 The Multi Format Video to USB HD Capture Box converts standard video formats to USB HD video for PC 'capture and record'. Supports High Def HDMI/Component 1080p, Standard Def Composite, and S-video formats to record to H.264 / MPEG4-AVC standards. With advanced video processing capablity, the Multi Format Video to USB HD Capture Box is ideal for the display and capture of external video sources on your PC or Notebook. 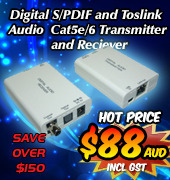 The USB over CAT5/6/7 Transmitter and Receiver Box is a simple solution which allows you to extend a USB signal over a long distance, up to 100m away.